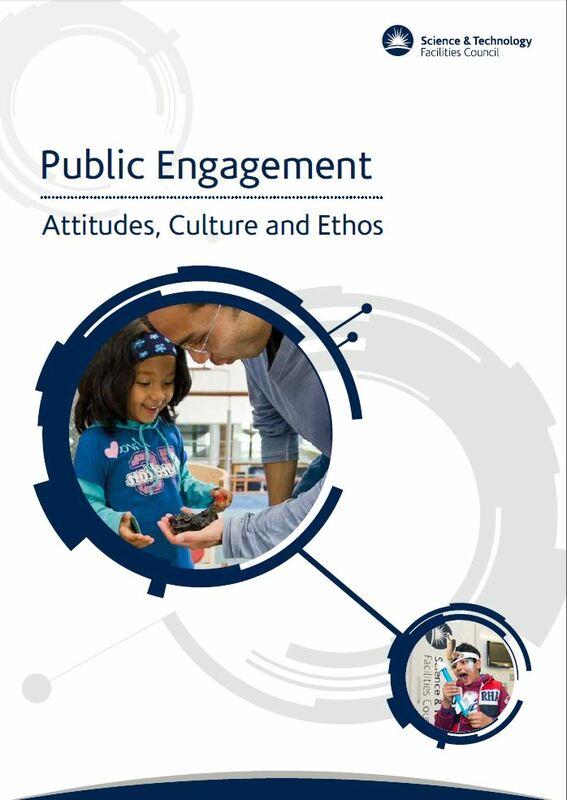 With apologies to John Lennon, PEACE in this instance refers to the Public Engagement: Attitudes, Culture and Ethos report, which has recently been published by STFC (the UK’s Science and Technology Facilities Council). 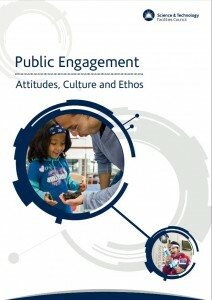 You can download a copy of the report from: Public Engagement: Attitudes, Culture and Ethos. The PEACE report is timely. It is welcome because it reminds us of the considerable body of culture change work in engagement over a period of nearly ten years. But it does much more than that. It also adds to this existing evidence-base, offering findings from newly-commissioned research that investigates engagement practices in the physical sciences, combining these findings with consultative work with the STFC research community, and expert advice. The process was chaired by Sophie Duncan from the NCCPE, supported by independent researchers, a Working Group, and the STFC Public Engagement Team. My contribution was to the Working Group. I was asked to contribute based on work I’d done for STFC in the past at training events they’ve run for researchers. I’d also led a culture change project at the Open University as part of the RCUK-funded Public Engagement with Research Catalysts and I’ve been co-directing the Engaging Opportunities project with Helen Brown, a school-university partnership between the Open University and the Denbigh Teaching School Alliance. In particular, the work on the eight universities who contributed to the PER Catalyst initiative hold significance for the PEACE project. Each of the PER Catalyst universities worked to embed the principles of engagement within our respective research cultures. Representatives of seven of the eight RCUK Public Engagement with Research Catalysts, alongside staff from the NCCPE. What was clear from the evaluation of the eight PER Catalyst universities was that, for change to become effectively embedded, it has to come from above, below, and through middle management within universities. Crucially, it also has to come from external agencies, the publics, stakeholders and end-users who engage with research. Further still, and most importantly for PEACE, changes also have to be embedded within the practices of funding bodies. The approach adopted by STFC—a very different take on a typical ‘PEACE process’—ensured independence for the researchers, evaluators and Working Group, but with the potential to influence the strategy of a major funder of UK research. The PEACE report includes recommendations for key stakeholders in engaged research in the physical sciences: STFC; Heads of Departments; Research Leaders and Early-Career Researchers. Several of the recommendations will be challenging to implement. Hence, it follows that if we are to change the research culture in the physical sciences across the UK, funders, managers, research leaders and researchers really do need to give PEACE a chance. 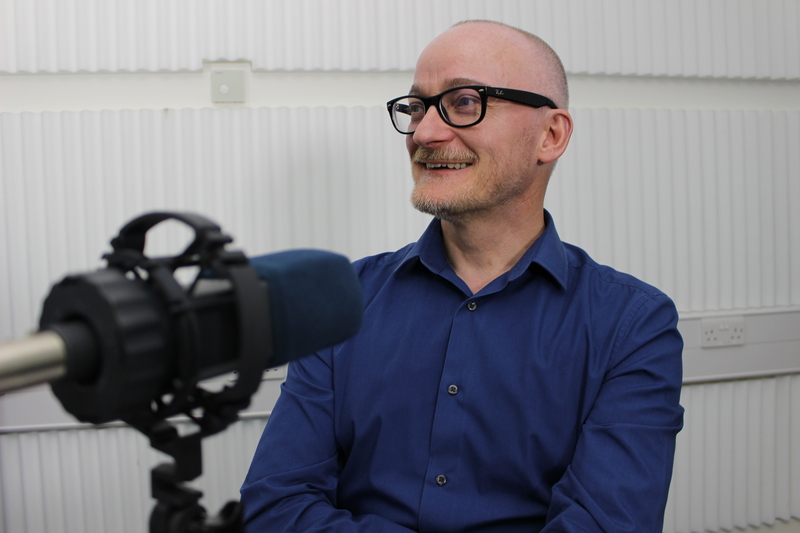 This post discusses research and interventions developed through the Open University, UK’s RCUK-funded Public Engagement with Research Catalyst, ‘An open research university‘, and the ‘Engaging Opportunities‘, a partnership between the Open University and the Denbigh Teaching School Alliance. Since the completion of the PEACE project, Richard has been co-opted to the STFC Advisory Panel on Public Engagement. This entry was posted in Consultations, Policy, Projects, Publications and tagged An open research university, APPE, Catalyst, catalyst project, culture change, engaging research, evidence-base, NCCPE, PER Catalyst, Public engagement with research, science communication, STFC, SUPI on Thursday, 15 December 2016 by Richard Holliman.